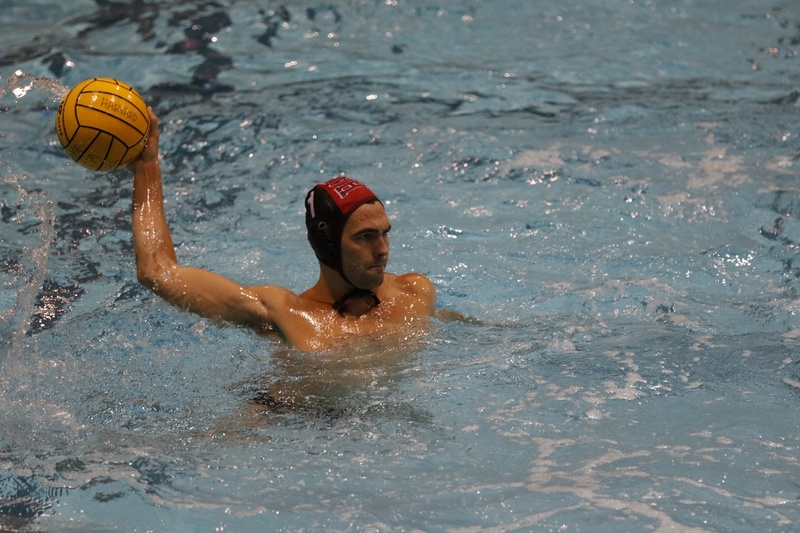 Coming off of a successful 3-0 trip last weekend, Harvard men's water polo had high hopes for three wins against Brown, Princeton, and MIT at Blodgett Pool. The Crimson (13-4, 5-1 NEWPC) took two out of three matches from the weekend, but registered its first conference loss of the season, dropping an 11-9 match to the visitors from Providence. 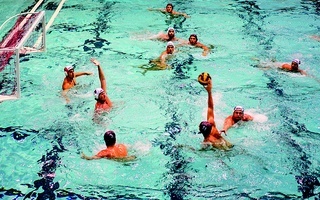 The opening game of the weekend against Brown (11-7, 4-2 NEWPC) started slowly, with the first quarter ending 1-1. With goals from senior Nathan Ondracek, junior Austin Sechrest, and sophomore Dennis Blyashov, the Crimson was able to exit the first half leading 6-5. In the second half, however, the Bears quickly rallied with four goals, and despite a final tally by senior Nick Bunn, Harvard was unable to defeat Brown, losing 11-9. Head Coach Ted Minnis stated that although the team opened up flat in the morning while struggling with a few defensive help sequences, the team moved on from the loss, ready to rebound against the Tigers. Both Princeton (10-6, 3-4 NEWPC) and the Crimson started the second game with strong defensive efforts, only allowing two goals cumulatively. An assist from freshman goalkeeper Noah Hodge to Ondracek and a score from Blyashov capped the first half for Harvard, giving the hosts a 6-3 lead. In the second half, the Crimson and Tigers rallied back and forth, with goals scored by Ondracek and Princeton’s Matt Payne. A strong defensive effort in the fourth quarter which left Princeton scoreless in the last four and a half minutes of play led to an important 9-8 victory for Harvard. “Princeton was a huge bounce back for us but we’re going to have to fine tune a few things before we play Brown again,” junior Charlie Owens said. After splitting Saturday’s two contests, the Crimson came into Sunday determined to close out the weekend 2-1. The first quarter against the Engineers (5-9, 1-5 NEWPC) displayed both team’s offensive prowess. Scores from Owens and Ondracek helped Harvard equalize the game 4-4 by the end of the quarter. Winning the swim off in the second, the Crimson executed hard presses and crashes on set, allowing the team to open an 11-5 lead. However, the Engineers quickly scored three goals off of fast breaks to narrow the halftime deficit to 12-8. In the third quarter, goalkeeper Hodge started off strongly with a succession of key blocks. Harvard maintained its lead with contributions from Owens and Bunn. A final drive into set at the end of the third, in which Ondracek dished the ball to Sechrest, put the Crimson up 16-11. The back and forth action continued between the two teams, until two scores from Ondracek and freshman Alex Tsotadze put the game away. Harvard was able to drain the clock, and cruise to a 19-15 victory. Overall, Minnis was confident about the team’s success. The Crimson will host the Harvard Invite facing Claremont-M-S, Bucknell, Wagner, and Toronto beginning Friday, Oct.12 at 7 p.m. Following a last-second loss on Saturday to St. Francis Brooklyn, Harvard swept Fordham and Iona on Sunday, 11-4 and 22-13, respectively.